ISO/IEC 27032 Lead Cybersecurity Manager training enables you to acquire the expertise and competence needed to support an organization in implementing and managing a Cybersecurity program based on ISO/IEC 27032 and NIST Cybersecurity framework. During this training course, you will gain a comprehensive knowledge of Cybersecurity, the relationship between Cybersecurity and other types of IT security, and stakeholders’ role in Cybersecurity. This training is based on both theory and best practices used in the implementation and management of a Cybersecurity Program. Lecture sessions are illustrated with examples based on case studies. Practical exercises are based on a case study which includes role playing and discussions. Practical tests are similar to the Certification Exam. • Acquire comprehensive knowledge on the elements and operations of a Cybersecurity Program in conformance with ISO/IEC 27032 and NIST Cybersecurity framework. • Acquire the necessary expertise to advise an organization on the best practices for managing Cybersecurity. Acknowledge the correlation between ISO 27032, NIST Cybersecurity framework and other standards and operating frameworks. Master the concepts, approaches, standards, methods and techniques used to effectively set up, implement, and manage a Cybersecurity program within an organization. 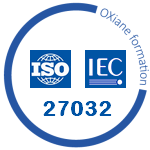 Learn how to interpret the guidelines of ISO/IEC 27032 in the specific context of an organization. Master the necessary expertise to plan, implement, manage, control and maintain a Cybersecurity Program as specified in ISO/IEC 27032 and NIST Cybersecurity framework.